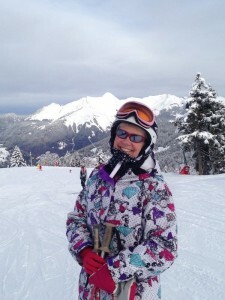 Great pic Sally, and the snow looks good too. Love skiing. Always come home feeling great after a skiing holiday. Yep it was a great week… and as you say always come home feeling fab and like you could take on the world ! !